Webman's View – Changing Your Path to Success! Back in the 60’s and 70’s, sports figures, politicians etc. were revered and protected by the media. They traveled with them and wrote about how people were “doing their job” not their personal lives. They all knew about the personal challenges, the indiscretions, the failures, the bad decisions, their families, the late nights and all of their imperfections. They were people, just like the writers and the writers respected their privacy. Today the media and our society is constantly searching for any nugget of information they can find to identify any and all flaws in a person, pass judgement without all of the facts and then work 24/7 to pull on every thread of a persons life to validate their perspective and point of view. We see this everyday in political reporting and we most certainly see this in sports reporting. Reporting and news is no longer about truth, it is about humiliating, degrading and tearing down people and publicly sharing that in as many ways, as many times and through as many media channels as possible. When did our society lose respect for the rest of society? We are bombarded by shows that call themselves “news shows”, Twitter, Instagram, Facebook and all other forms of social media that have enabled every person on the planet to become “reporters.” For real breaking news, these media channels are a godsend as action can be taken faster and in many cases lives can be saved. For this we can be grateful. But more than 90% of the “news” reported is not news at all. It is about sharing a person’s mistake or error for entertainment purposes, regardless of the embarrassment and personal suffering that the person will have to go through after it all goes public. The collective society that I am referring to uses no discretion or common sense, nor do they treat others as they would want to be treated; the “golden rule.” Apparently the golden rule is dead. Why does our society delight in the misery of others? Why is it OK for the media to put aside any discretion and insist on reporting everything about a person’s life? Why do “news” stories such as Deflategate consume us to the point where we are now questioning everything ever accomplished by the quarterback? Because it is unfortunately what our society has become – one that basks in the glow of others failures for their own personal or business benefit. It is no longer about the thrill of victory or the agony of defeat. It is about tearing down people’s lives whenever possible because this is now how we define the “news”. Well here is a headline for you – treat people with the respect and dignity that you expect. Listen don’t judge. Help don’t hurt. Maybe we can make the world just a little better today. We most certainly learn more from our mistakes than we do from our successes. Having made more than my fair share, I can tell you that those are the learnings and experiences that make you a better leader, better manager, better mentor and a better person. No one is successful without failure. The inventor Thomas Edison said, “I have not failed. I’ve just found 10,000 ways that won’t work.” If you learn from your mistakes then you did not fail. You learned. 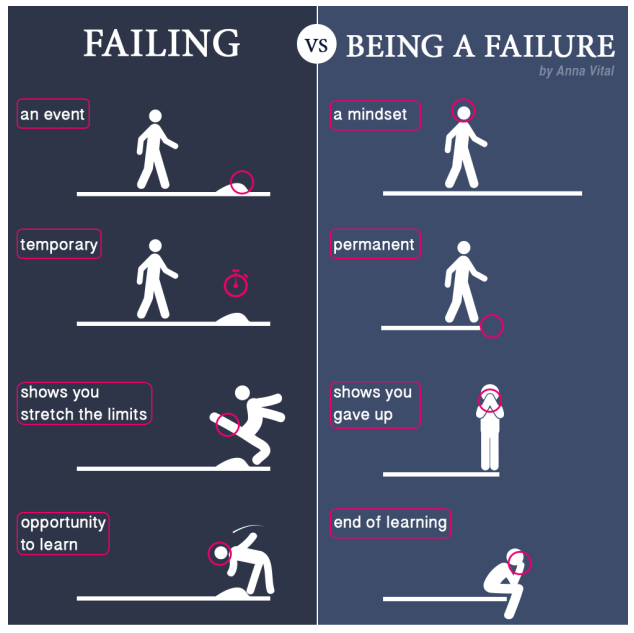 Are you Failing or Being a Failure? If you do not fail, it means that you are not taking enough risks. If you are not taking enough risks, why not? Are you afraid that you will not get that 2% salary increase at your annual review? Do you not trust your manager? Does the company you are working for punish risk takers? How can you possibly get better with all of these restraining forces? Go ahead, take a risk. Make a mistake. Learn from it. Share it with others so they don’t make the same one. And now crank up the volume and enjoy this fine tune from 10CC. Enjoy the weekend. What is leadership? Do you know it when you see it? How many great leaders have you worked for? What has made them great? Great leaders know how to prioritize, communicate, define a path to success, change course as conditions warrant and stay focused on the end game. They know how to drive you to do your best, to challenge you to do more. They can reach into your soul and find what motivates you. And when you win, there is no feeling in the world like it. You take the experience with you. It becomes a part of who you are. It raises your expectations for all other leaders. Found an awesome visual on blog.readytomanage.com that identifies the 4 key traits of a great leader. How does your boss stack up? How about you? What are you doing to become a better leader? Will definitely not be like the old boss. That one you worked with for years, learned the ropes, had some success, some failure; built a bond, war stories to share, had a beer or two. Over time you built trust and mutual respect. You had a camaraderie, a cadence; you were in your comfort zone. Nice! A friend of mine just got a new boss. As we know this is one of the more stressful times for an employee. Who is this person? What are they like? Can I work with them? So what do we do now? We check out their Linked In page. Find out what makes them tick. See how many contacts we have in common. Zero was not what you were looking for. Called a couple of co-workers. “Hey, do you know anything about my new boss?” The responses intrigue and worry you. Mostly worry. After the meeting, the new boss calls you into the office and asks how did the meeting go? You say that you learned a lot and that you felt like it went pretty well. Then your new boss says, “You need to change the look on your face because you are coming across hostile.” And you think, What the F are they talking about? Is he/she crazy? This is just not going to go well. This type of situation happens everyday because the manager and the employee did nothing to gain each others trust. Without first establishing a level of initial trust, the relationship starts off negative and will not likely ever become what it could have been. To get a new work relationship started the new boss and employee need to work together to establish an initial level of trust. 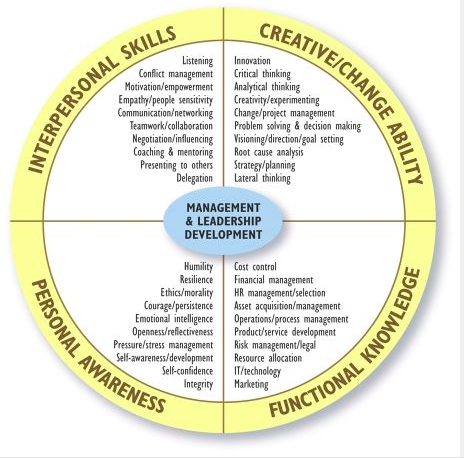 This is easily accomplished by establishing a “dialogue of partnership”, learning about each others professional and personal experiences, sharing past successes and failures, identifying areas that you might have in common and gaining an understanding of your personality type and work behaviors (Myers-Briggs, DISC, Kolbe e.g.). Learning about each other upfront in an open, honest and non-confrontational way will get the relationship off to the right start. What happens after that is up to you. Today, more than 10,000 Baby Boomers will retire. This is going to happen day after day, month after month, year after year until 2030. 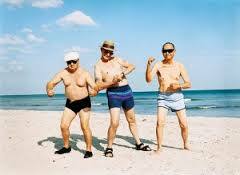 That is a lot of Boomers on the Beach! Will there be enough adult beverages with little umbrellas available? According to the Employee Benefit Research Institute, 46 percent of all American workers have less than $10,000 saved for retirement, and 29 percent of all American workers have less than $1,000 saved for retirement. One poll discovered that 26 percent of all Americans in the 46 to 64-year-old age bracket have no personal savings whatsoever. According to a survey conducted by the Employee Benefit Research Institute, “60 percent of American workers said the total value of their savings and investments is less than $25,000”. 67 percent of all American workers believe that they “are a little or a lot behind schedule on saving for retirement”. The U.S. government is facing a total of 222 trillion dollars in unfunded liabilities during the years ahead. Social Security and Medicare make up the bulk of that. The leader was late – so the participants were stuck listening to music – The Rolling Stones were singing Time is On My Side. I was OK with that 🙂 A benefit! Babies crying and dogs barking in the background – Ah the benefits of working from home! This video has been going around but if you have not seen it, take a look. It is just awesome, accurate and laugh out loud funny! And now for some Stones. This is the third installment in the series from JetBlue CEO, Joel Peterson. I have once again hit the highlights for you. Thank you to Mr Peterson for a great series! Our best performances are nearly always spurred on by colleagues and leaders who have empowered us – that is, trusted us with the freedom and resources to excel. Low-trust organizations have trouble giving their teams the latitude to do much. Wary ofeveryone, they often don’t trust even their most trustworthy people. Instead, they rely on thick compliance manuals for even the most trivial matters, and reward tattlers as a way to prevent rule breaking. This suspicious atmosphere kills initiative and creativity, and worst of all, it stifles any potential for trust. 1) Bet on people. Allow people a chance to prove they can take on more responsibility. A leader who trusts others to grow inspires the best in people and can ignite trust. 2) Take action. Try out ideas, don’t just talk about them. Walk that talk. 3) Move On. What worked before is not today’s answer. High-trust organizations don’t rely blindly on old rules. Instead, they trust their teams to figure out the new ones. 4) Expect mistakes. Even the best efforts can, and do, fail. Find out why quickly, learn and move forward with renewed vigor. 5) Don’t be paranoid. Giving up power is a great way to create more power. Get everyone on the same page and make great stuff happen together. A little Aretha Franklin to jump start your day.